creating-teaching-inspiring: Easter Eggs...a little late, but better than never! Easter Eggs...a little late, but better than never! 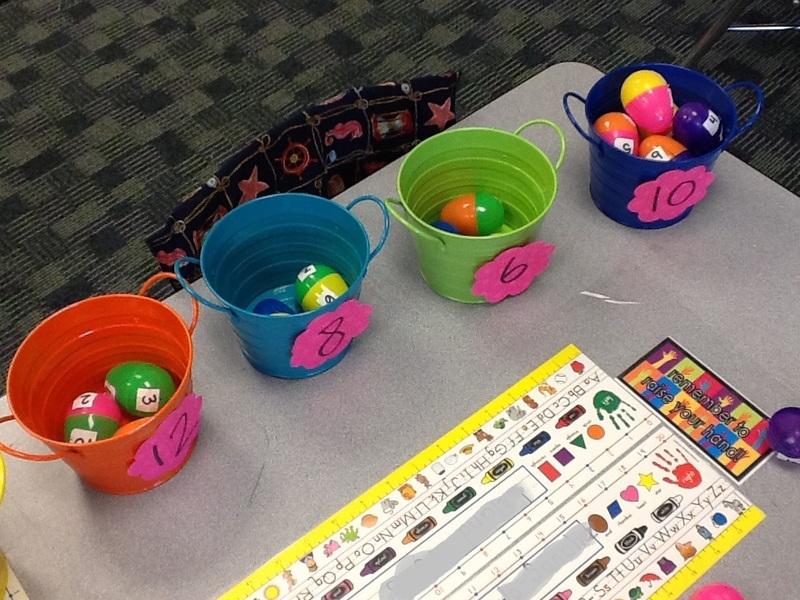 While Lake Myra was tracked out (we are a year round school) I was busy looking all over pinterest and finding so many cute Easter egg activities. Because we were tracked out for Easter, we wouldn't be able to use them during the Easter holiday. 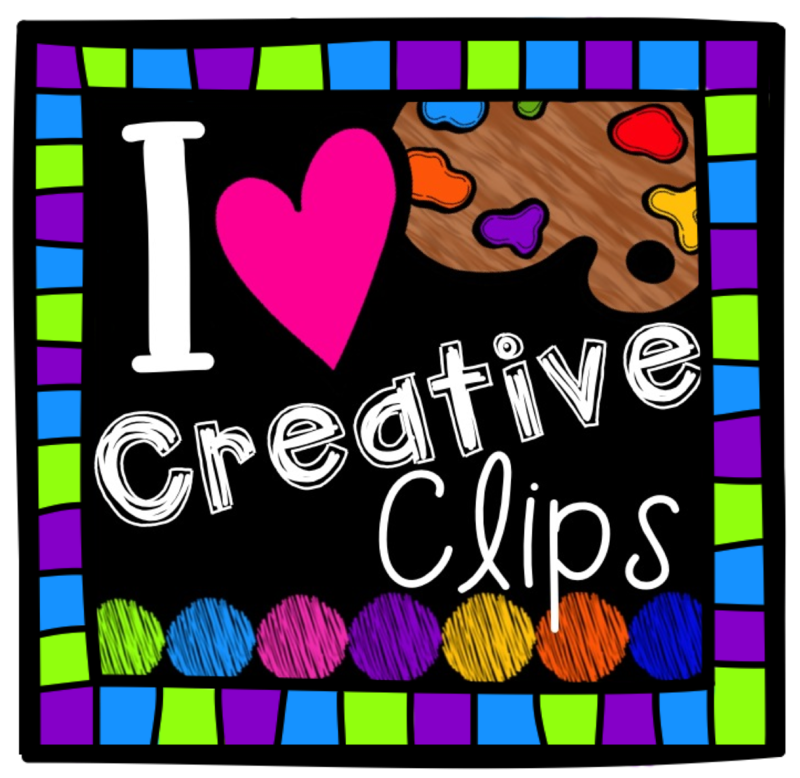 I decided that we can use them any time of the year and the kids really love it! 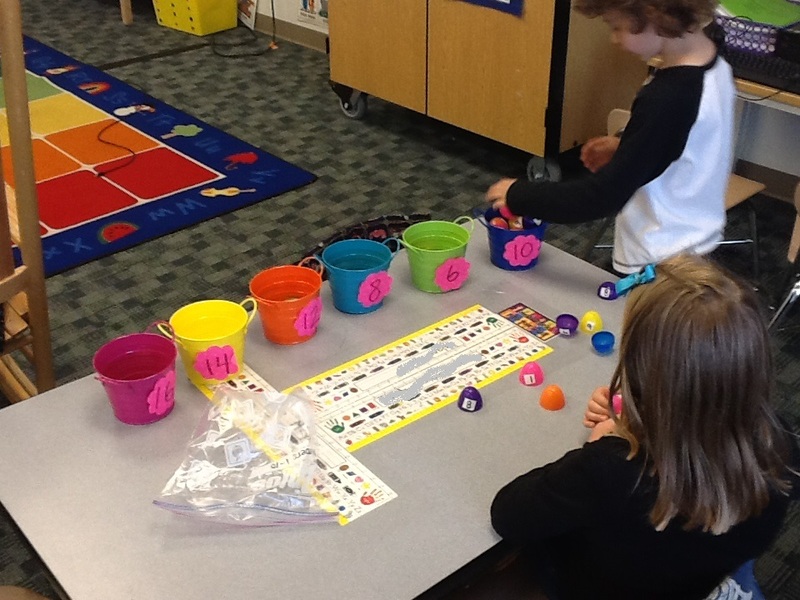 Over track out I created a sight word game with Easter eggs, where I put sight words on both sides of the eggs and the students have to match them and then read the sight word. 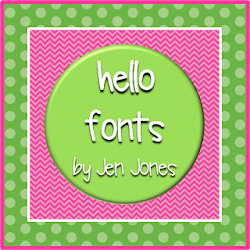 I also made word family eggs, where on one side of the Easter egg there is a word family ending like -at. 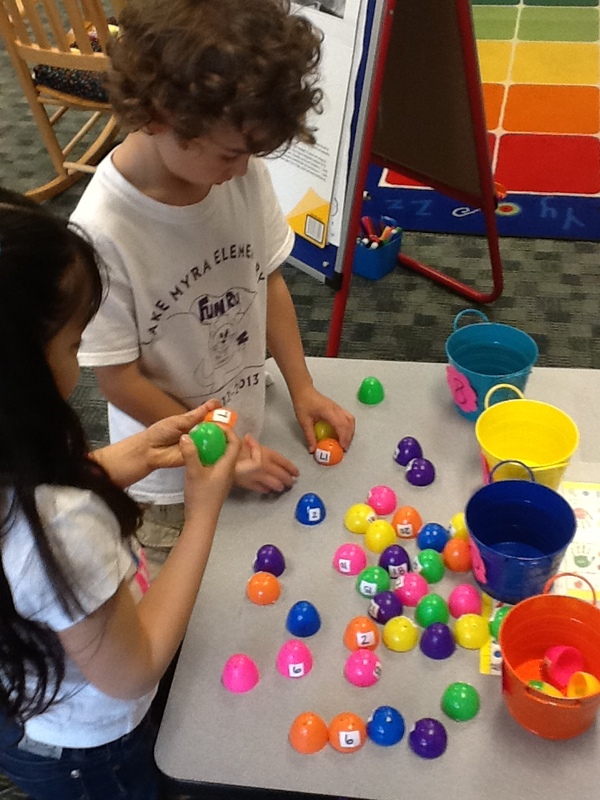 The other side of the egg has different letters so the students can spin the top of the egg to create different words like cat, rat, fat, spat, flat. We are going to get to these two games this coming week!! 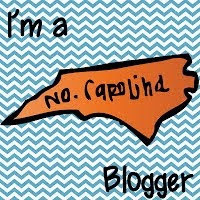 So I will be sure to snap some pictures and get them up onto the blog! 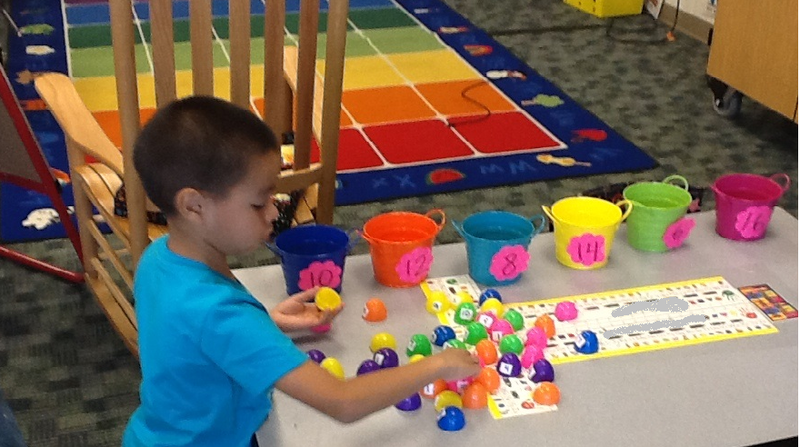 But, this week I focused on using the eggs for math. I wrote different numbers on each side of the eggs and then bought cute buckets at Michaels (at their best sale of the year!!! :)) and put larger numbers on them. 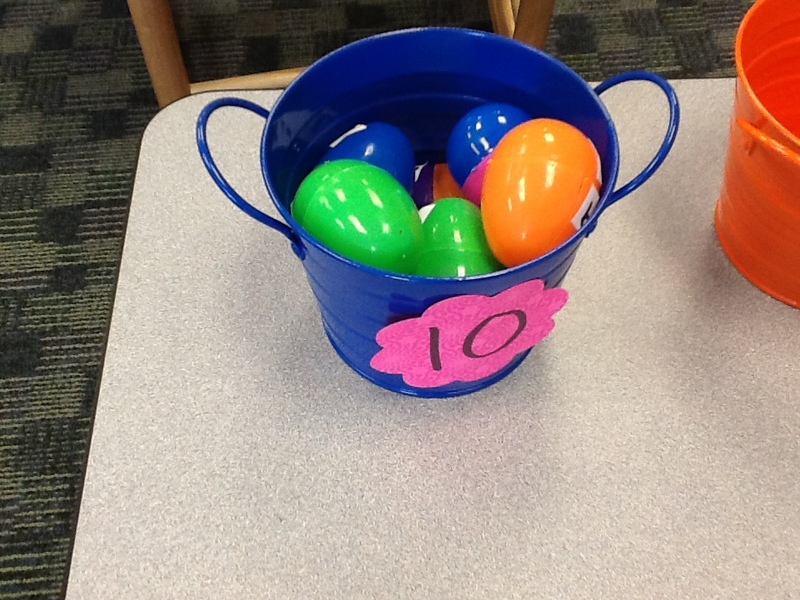 The students had to find two halves of the eggs that added up to the numbers on the buckets. The buckets started out as 8,10, 12 and 14. 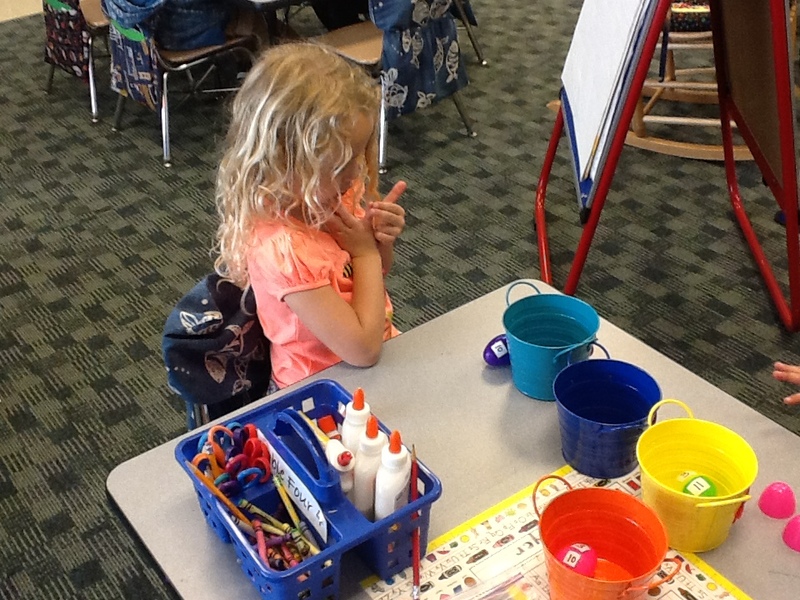 As the week progressed I gave the students more eggs and more buckets. 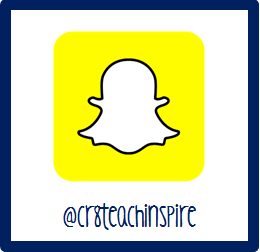 This was an easy activity to adapt for all of the students in my class. 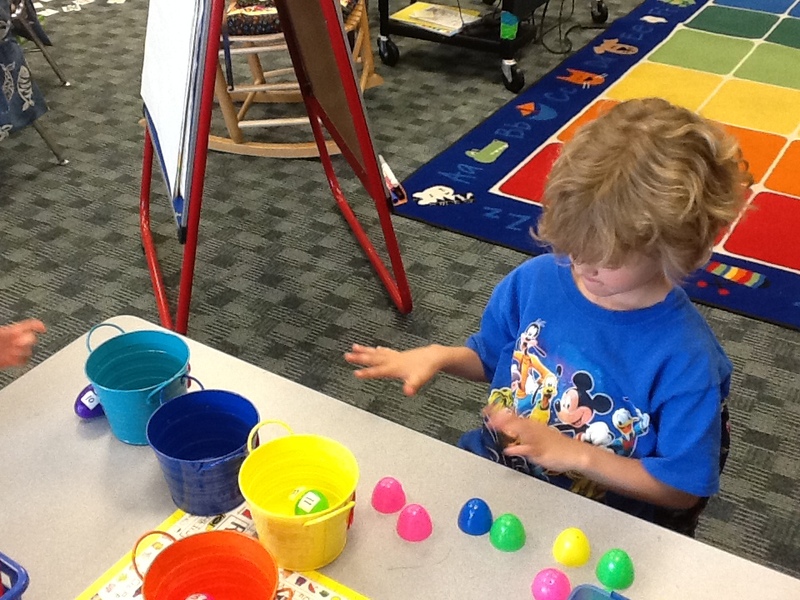 The kids loved it and really worked together to connect all of the eggs and fill the buckets! Beginning of the week, using only four buckets. Later in the week when I added two more buckets!! The kids did awesome! 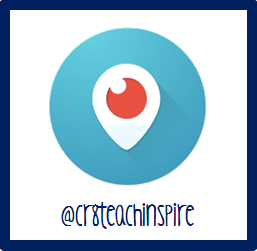 Fun and learning all at the same time!